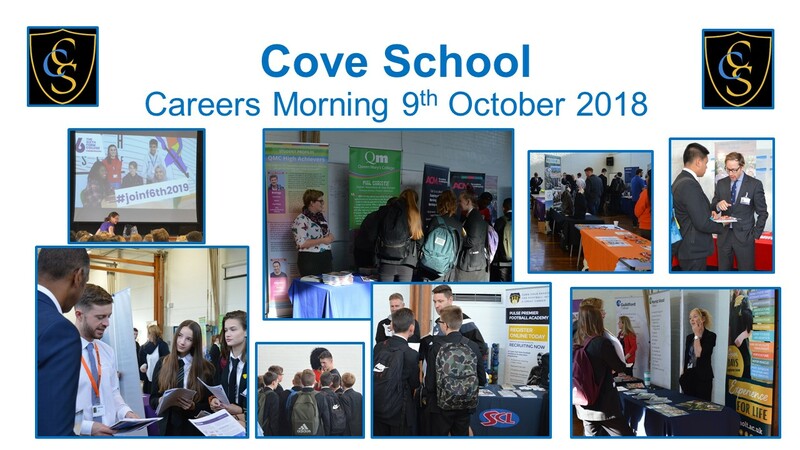 On the 9th October, we welcomed representatives from local colleges, apprenticeship providers and public services to the school to talk to our Year 8's, 10's and 11's about the many career opportunities open to them once they've left Cove. 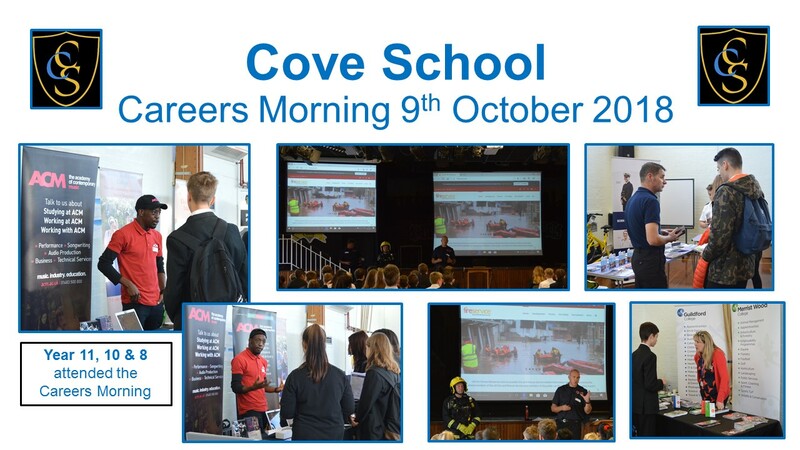 It was a successful morning that offered a lot of insight to our students. Below are a few pictures of the day.